Zakia Bari Momo is a Bangladeshi model and actress who best known around the country as Lux superstar. After winning the Lux Chanel I beauty pageant in 2006, she comes to the limelight and got a chance to act in the Daruchini Dip. In the debut movie, she gets National Film Award that was the remarkable incident in her career. Now, she also the popular face on the small screen. 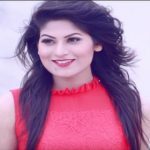 Zakia Bari Momo was born on August 14, 1984, in Brahmanbaria, Bangladesh. She passed early life in the home district. At first, Momo dreamed of being a pilot, then an architect, but her early dream halted by media related passion, especially in dancing. She took part in Notun Kuri in 1995, the largest child cultural program in Bangladesh that was aired by Bangladesh Television. Momo won the competition, but she gets countrywide familiarity when she won the Lux Chanel I Award. She becomes first class first in Honors and Masters in Drama and Dramatics from Jahangirnagar University. 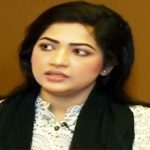 Zakia Bari Momo started her career in the silver screen after winning the Lux Chanel I beauty pageant with the movie Daruchini Dip directed by Toukir Ahmed, story by Humayun Ahmed. She showed magnificent performance in the movie with co-actor Riaz and finally got National Award as the best female actress. After a long break, from her first movie, she acted in the second movie Prem Korbo Tomar Sathe in 2014. Flowing this year, she acted in another blockbuster movie Chuye Dile Mon with co-actor Arefin Shuvo. Momo already has won the heart of the audience by her terrific acting, she is one of the best dramatic actresses in the country. Zakia Bari Momo married to dramatist Ajaj Monna and they have a son named Udvash. Zakia Bari Momo is my one of favorite Actor.I like his Natok and i also like her resent Movie “Cuya Dila Mon”. zakia bari momo is my favorate actress. Momo is a naturally Bengali beautiful girl and her acting also. I have seen huge drama of Momo.